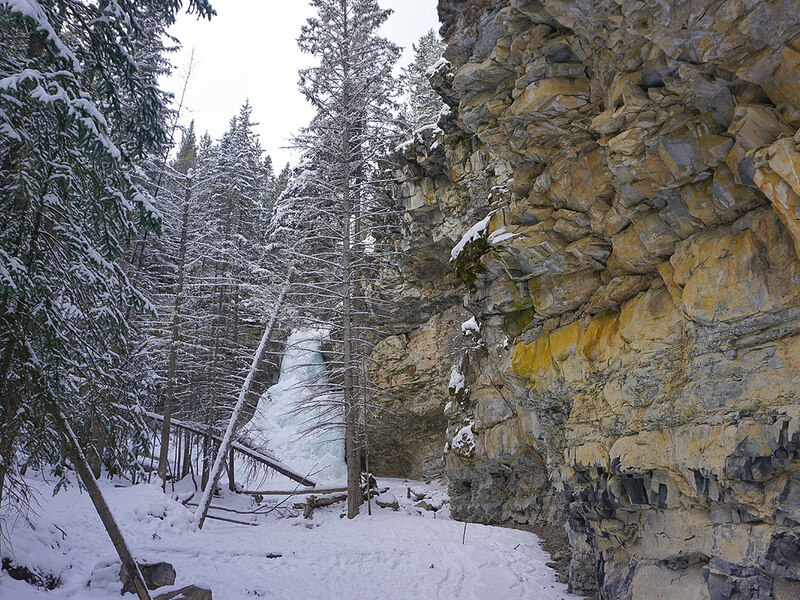 Snowshoeing to Troll Falls is a classic family outing in Kananaskis. 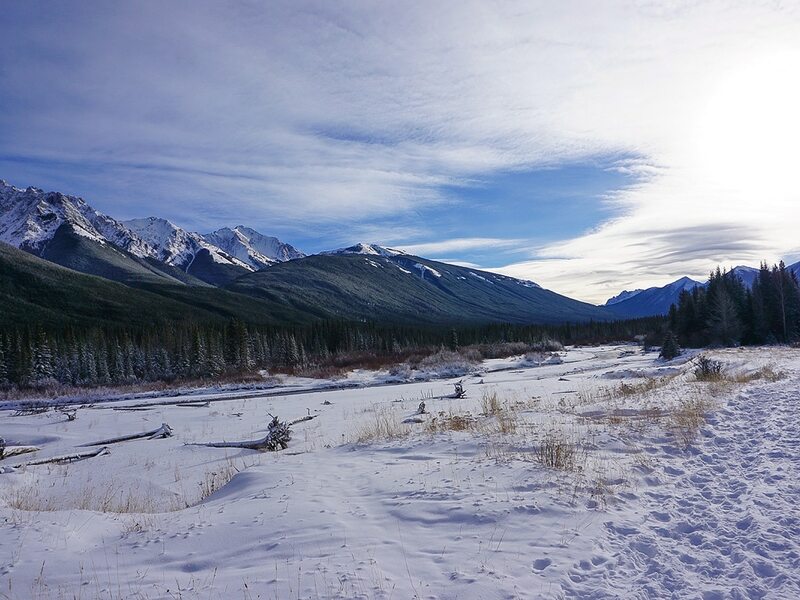 This easy trail is a fun loop to the impressive frozen Troll Falls and then back via Hay Meadow, which is along the Kananaskis River. This trail is great for all abilities. 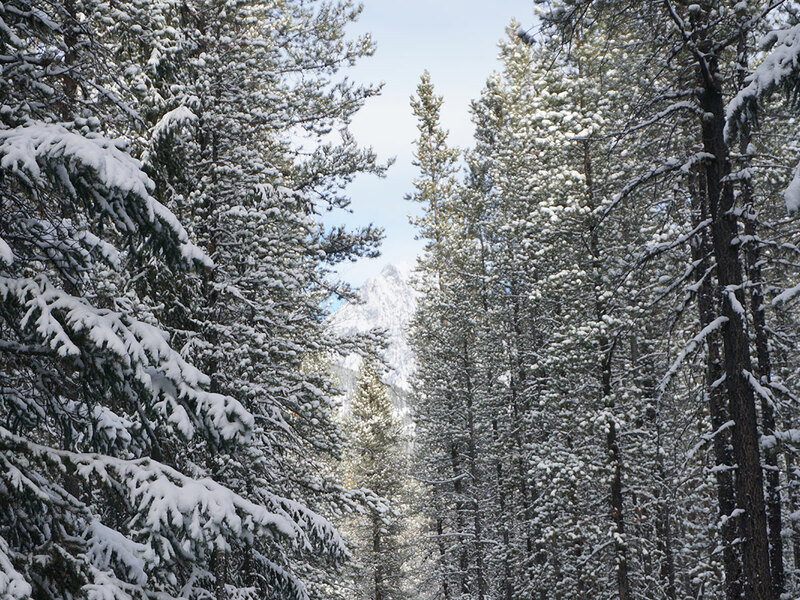 Follow highway #40 towards Nakiska Ski Area and Kananaskis Village. Follow the road on the way to Nakiska and look for signs for Stoney Day Use Area, which is a poorly marked turn on your right, 1.0km before the Nakiska Ski hill. The snowshoe to Troll Falls is popular. 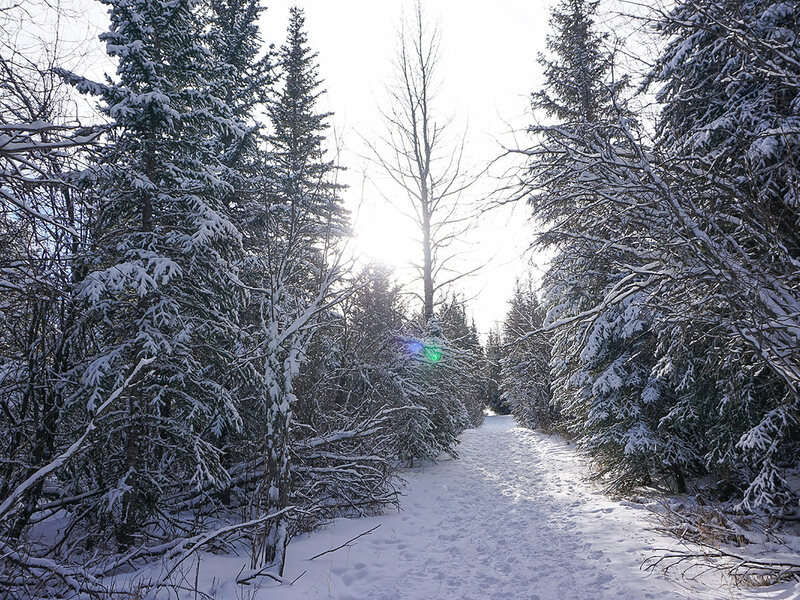 So popular that if it hasn’t snowed in a while you can do this trail without snowshoes. We think it’s more fun with snowshoes though, and pulling the little ones in a sled ensures the whole family can do this fun snowshoe. From the Stoney Day Use Area, head north for a bit and look for a path going left (west) into the forest at the far end of the parking lot, just past the gate. Snowshoe through the forest with very little elevation change. 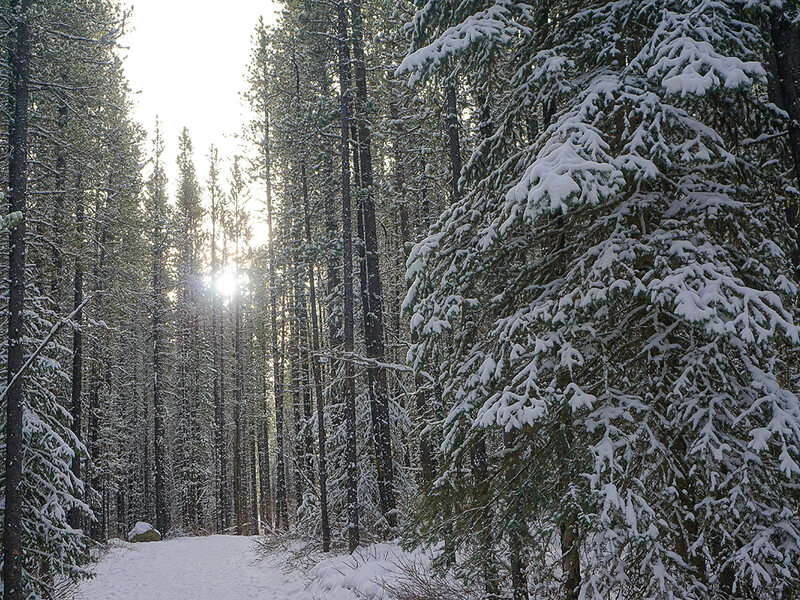 In low snow years, the path in the trees can often be easily walked. As you come to junctions, continue to follow signs direction you to Troll Falls. Keep your eyes open for little Troll dolls in the trees. At one point there were quite a few troll dolls, but in our last trip we only saw one! Eventually the route goes to the left and goes up a small canyon where you will find the incredible (and frozen) Troll Falls. 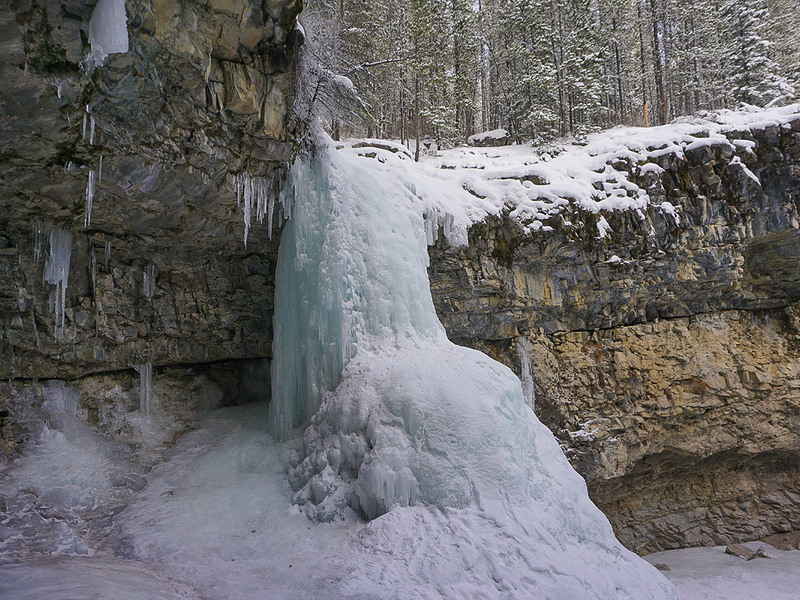 Kids love Troll Falls, and seeing the frozen waterfall usually leads to some pretty amazed little kids. 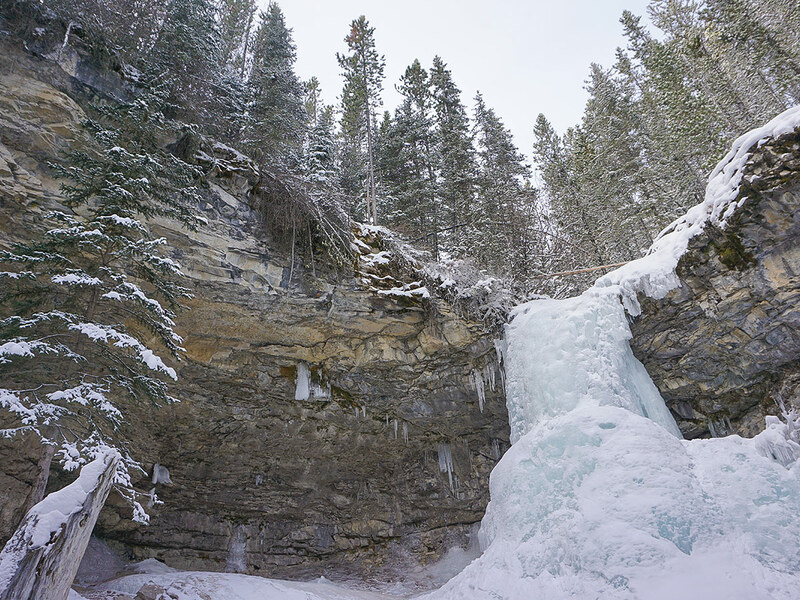 Take some time here to take in Troll Falls and enjoy some peace in the frozen canyon. Listen for the water rushing behind the frozen edge of the falls. Retrace your steps back down the canyon and then almost immediately take a trail that goes off left and heads below a power line. 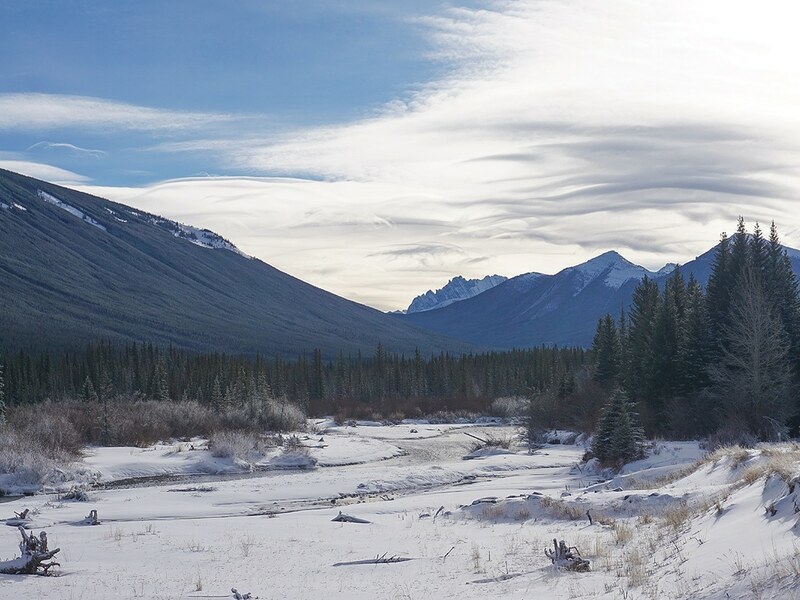 Follow signs for Hay Meadow, as this route eventually takes you to a trail beside the Kananaskis River. 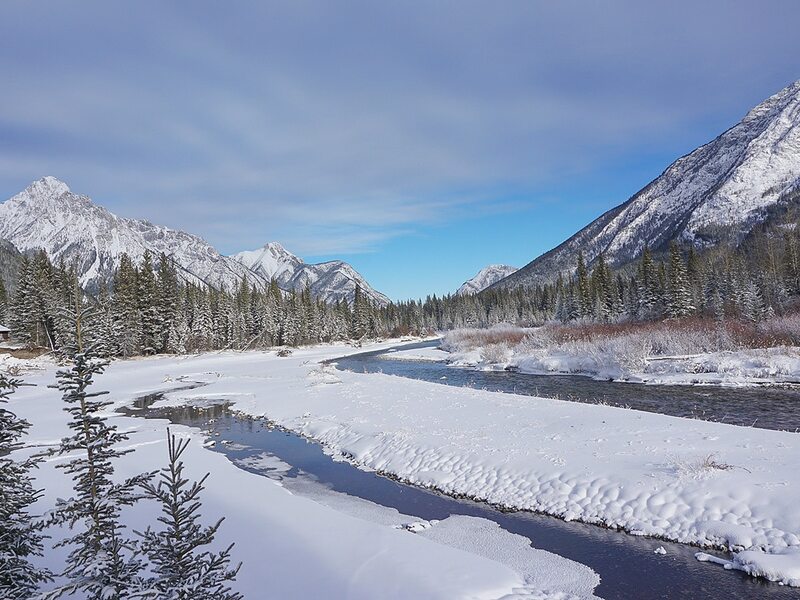 Follow the trail along the Kananaskis River for some incredible views. 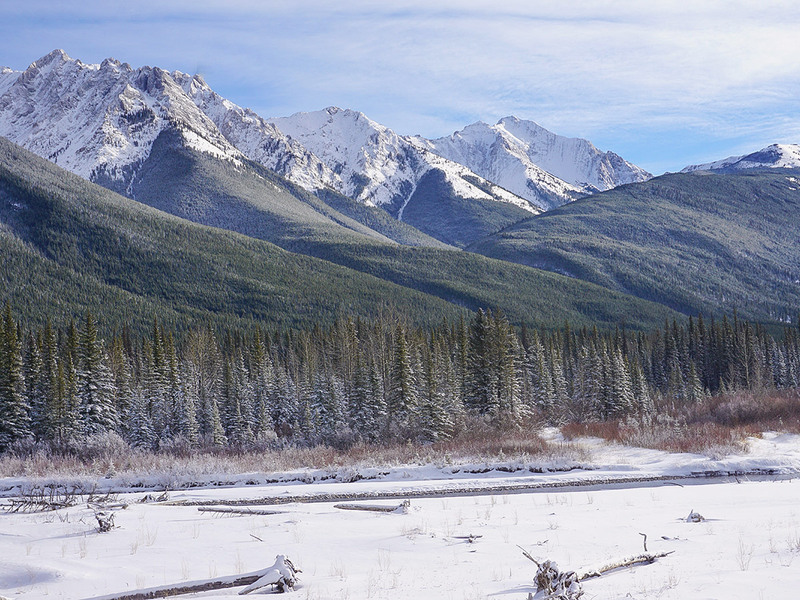 Continue on it as it eventually goes back into some trees and away from the Kananaskis River. Eventually you’ll see the power lines on your right and the parking lot. Go to your right and you’re back at your car! Bring your kids along for this trail, as this is a family favourite! 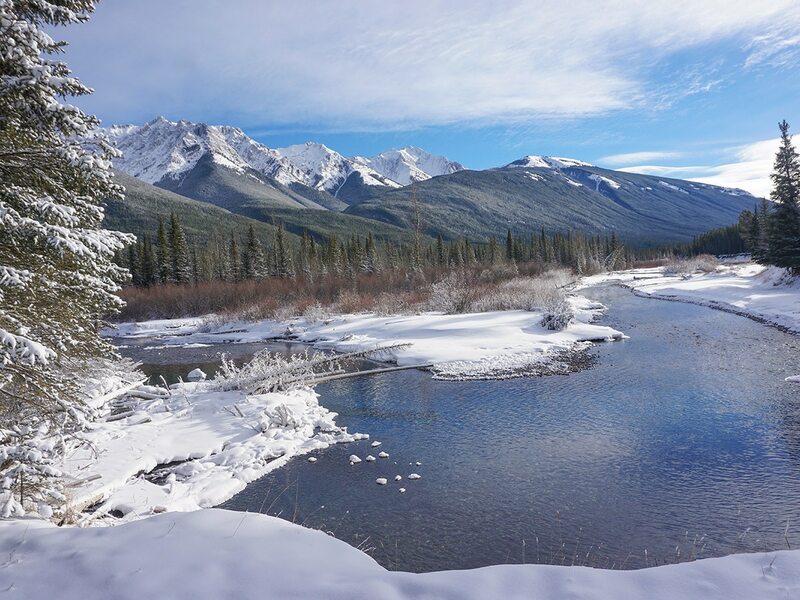 Combine this with a stay at the recently renovated Kananaskis Mountain Lodge. We love stopping at the Blacktail Bar for a meal. 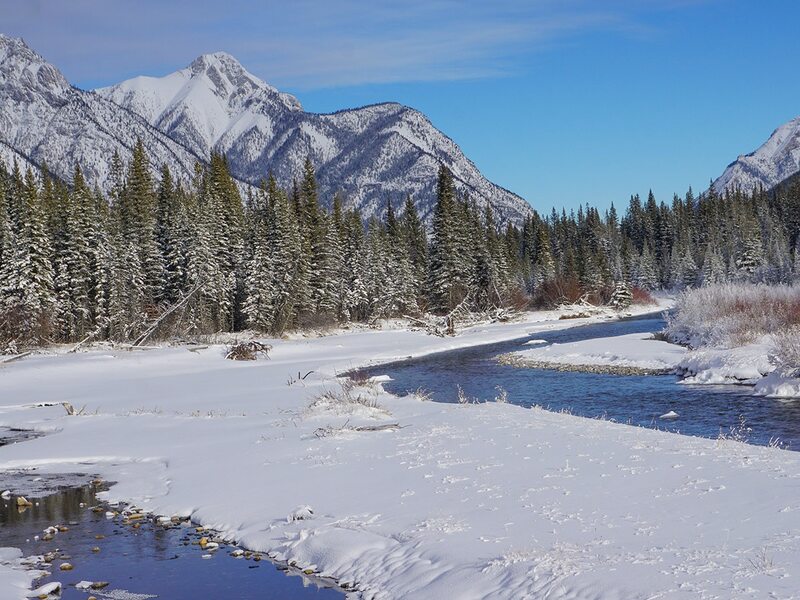 Complete this loop before or after a half day of skiing at Nakiska.